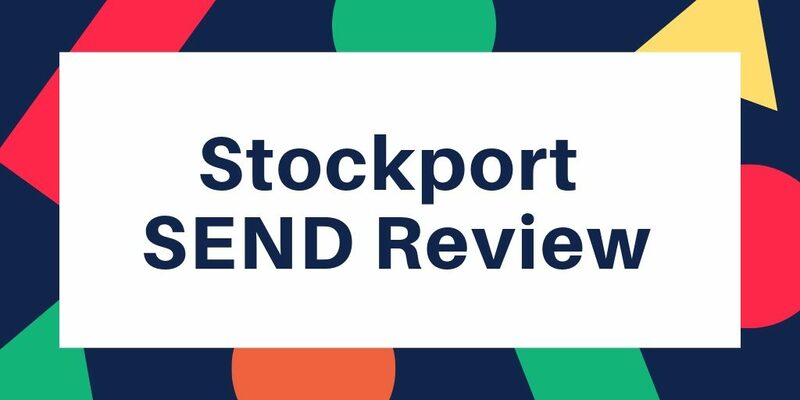 You may have noticed that we’ve shared a number of social media posts about the Stockport SEND review so we decided to write a quick(ish) post to share some additional information and encourage local parents to take part in the process. In September 2018 there was a joint inspection carried out by Ofsted and CQC to look specifically at how Stockport handles special educational needs and disabilities (SEND) The inspection did not go well and the end result was that Stockport, as an area, was told in no uncertain terms that they need to do better. The inspection included educational settings, NHS services and Social Services. They have been given a specific timescale to respond to Government Ministers and have to produce a Written Statement of Action to lay out exactly what they are going to do to improve. The full inspection report is available on the Stockport Clinical Commissioning Group website. 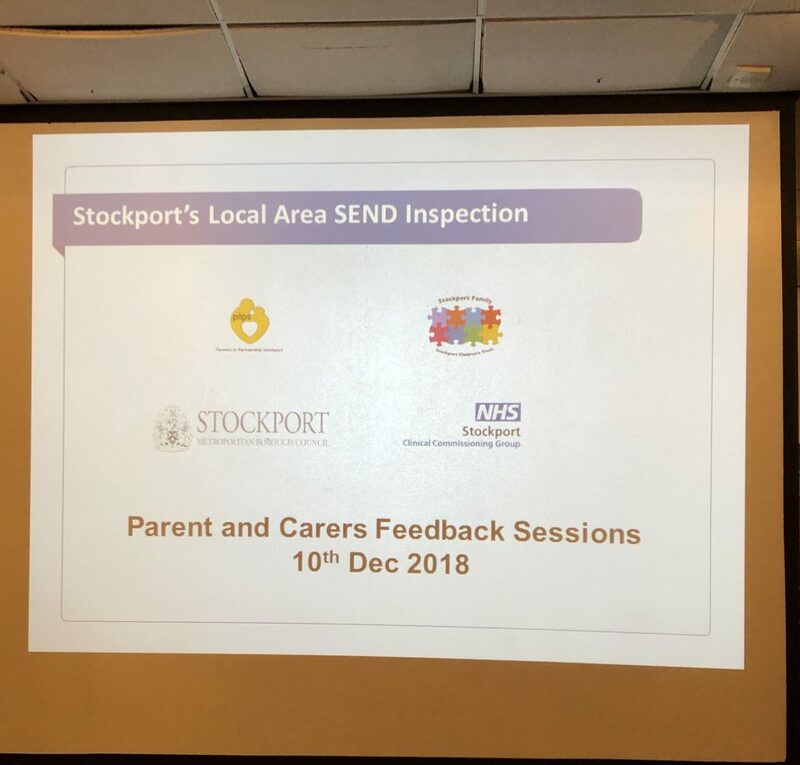 Following the release of the report, a number of feedback sessions were held in December at Stockport County Football Ground to capture the views of local parents and carers about their experiences. As a group, we here at SPACE Stockport encouraged as many people as possible to attend. Our team have been to every session and will continue to do so and hope that others will do the same, for the very simple reason that in order to get better, Stockport needs our input and we as parents need to take advantage of this opportunity. The inspection looked at the lived experience of families in Stockport and it wasn’t good enough. There were serious weaknesses and a lack of involvement. Inequalities in support eg differences between schools, particularly at SEN Support level is driving an increased demand for EHC plans and special school places. This is our opportunity as parents to influence the process and have our voices heard. It should not have taken a failed inspection, before all affected parents were asked for their input, but this is the position we find ourselves in, so lets make the most of it and help ensure that future plans are fit for purpose. Those responsible for responding to Ministers are asking for information and are collecting case studies and we hope that local families with ADHD will be amongst them. At the feedback sessions in December there were lots of opportunities for parents to ask questions and raise concerns based on their own experiences. They were also given the opportunity to share views and raise issues online and by email. Lots of the issues raised at the initial feedback sessions echo the criticisms highlighted in the report and produced some serious food for thought. 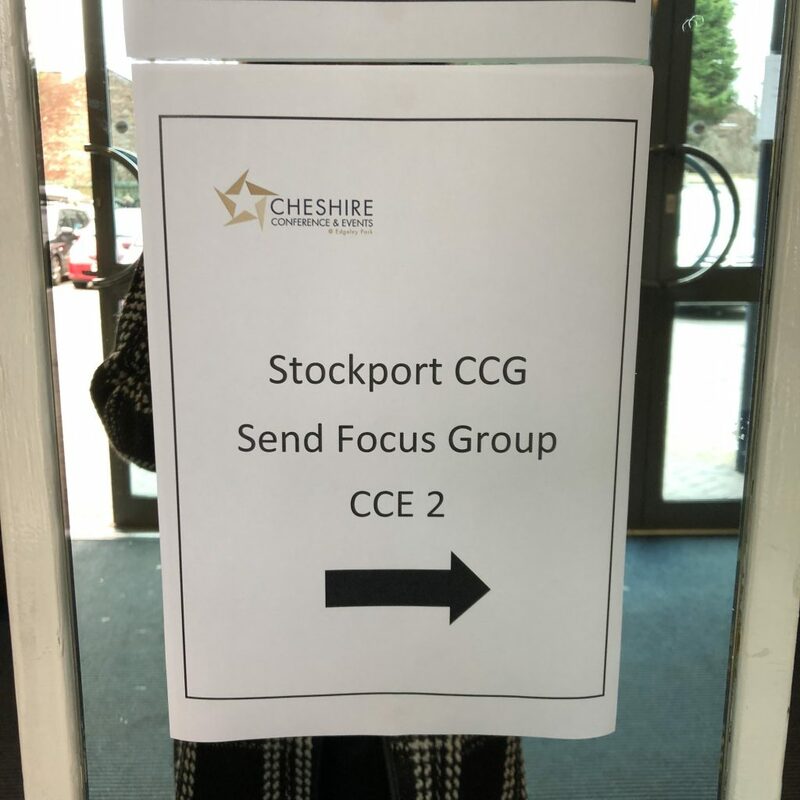 There were a number of issues raised about Education Health and Care (EHC) plans with one observation being that Stockport has a higher than expected number of requests for them. EHCPs have become a so-called “golden ticket” that will ensure that children receive the support they need in school, which is the result of some schools refusing to put support in place for a child without one. There are some schools where children with EHC plans aren’t necessarily receiving the support that has been agreed and there are other children who are being denied them because they are not far enough behind their peers in educational attainment to be granted one, despite serious struggles with social issues. Overall the impression is that parents “want” EHC plans, but all parents actually want is the necessary support for their children and for some the EHCP is the only way to get it. EHC plans were just one of the recurring themes brought up during the initial feedback sessions. Many parents shared their frustration about not being listened to by schools and NHS service teams. Parents are usually the experts about their children and this knowledge is frequently completely ignored by professionals. Despite the very obvious negatives there were some positives in the report. Stockport has lots of people who are committed to making a difference in children’s lives, but unfortunately without enough involvement from parents, children and young people, a lot of that hard work has been missing the mark. After the initial set of workshops to capture feedback the next stage of the process was to move onto focus groups, the first of which were held this week. The focus groups were held at Stockport County and involved lots of group work. Rather than being obviously led by the team of professionals, each table had a facilitator to ensure the maximum amount of input from parents and carers. All attendees were encouraged to capture the information on paper which was added to large boards around the room. The boards were photographed by the main facilitator and the information will be recorded and details shared on the Local Offer webpage. The Local Offer (sensupportstockport.uk) is an online portal that should contain all the information about available information and support services for those with SEND in the Stockport area. Unfortunately despite it containing lots of useful information most parents and lots of professionals didn’t know about it and many of those that did, didn’t find it easy to navigate. Our team didn’t know a great deal about the Local Offer despite our details having been on there for quite some time! At this week’s focus group we were told that there will be changes made to the site, which will make it more accessible to both families and professionals. Every area has their own Local Offer page and they intend to look at some of the better examples for benchmarking and inspiration. Feedback on the SEND Review process and opportunities to contribute via online surveys are available from the Local Offer website and for those who were unable to attend either of this week’s Focus Groups the online questionnaire is open until January 21st 2019. Anybody interested in sharing their experiences as part of a case study should contact paul.harper@pipstockport.org who will make arrangements with you. The SPACE Team will continue to engage with this process and we hope that this post encourages others to do the same. This is a real opportunity to help those in charge, change things for the better. Please don’t miss this chance to let them know about your experiences.